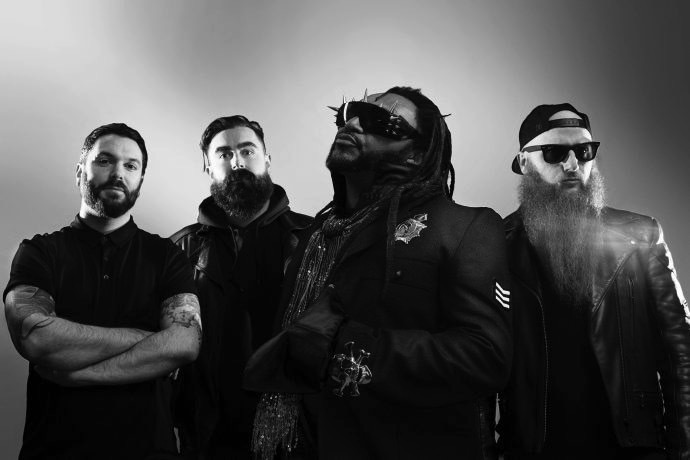 The latest tour from ‘Ragga’ metal giants Skindred was in support of album number seven Big Tings and the London leg rolled around to a packed show at Brixton Academy on a Saturday night which means it was party night for London. It’s a pretty long intro with the back-to-back overture of AC/DC’s ‘Thunderstruck’ followed by a remix version of the ‘Imperial March Theme’, openers which the crowd got very much behind. Wasting no time they kick straight in with the title track of their latest album and thankfully it’s a catchy one which gets the crowd moving and doesn’t sound like the obligatory new track bands play when the place falls quiet. Skindred sound huge in this venue and anyone who doubted that the band were big enough to headline Brixton Academy had their socks knocked off tonight. 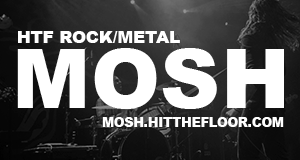 The Welsh rockers always have high energy, high impact shows and tonight was no different as their blend of alternative, reggae metal fills the entirety of Brixton Academy as it feels like one giant party. As always front man Benji is captivating in his unique attire encouraging the crowd to get involved and move, he masters the puppetry of the venue as everyone sings, dances and jumps in unison whenever Benij demands. Everything sounds great at the venue as the sound resonates round and crowd favourites like ‘Pressure’ and ‘Kill The Power’ go down a storm. With seven albums under their belt to work with the band have a lot of choice but thankfully delve into the strongest tracks from their discography as opposed to playing 70% new material. Vocal duties are divided around the venue for ‘That’s My Jam’ ,and ‘Selector’ takes old school fans back to the band’s debut album. A three song encore has the band explode into ‘Warning’ which pulls every last drop of energy from the fans with the circling shirts blocking all views as the famous Newport Helicopter comes into action. Carly Simons ‘Nobody Does It Better’ plays out over the venue as the lights brighten and the sweaty crowds heads for the doors and we can’t help but nod in agreement. Skindred are at the top of their game right now bringing not just great music but a whole show every time they play.